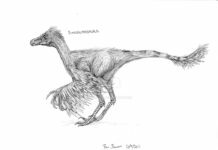 The original fossils found during the 1930s were eventually destroyed by bombing during World War II and paleontologists had to rely on the written descriptions of these animals. 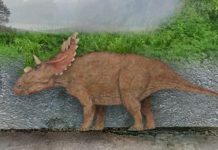 However, that changed when another fossil of this creature was discovered in 1996. This specimen was even larger than the original one was. 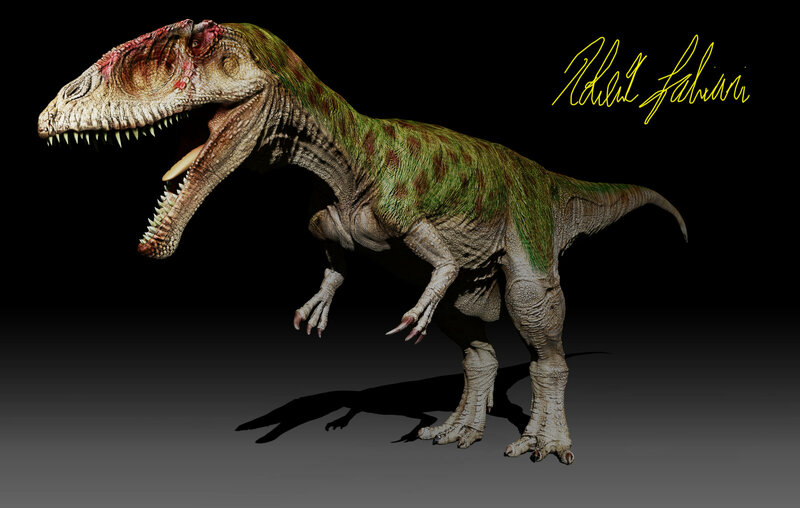 Carcharodontosaurus is believed to have been a fearsome predator. 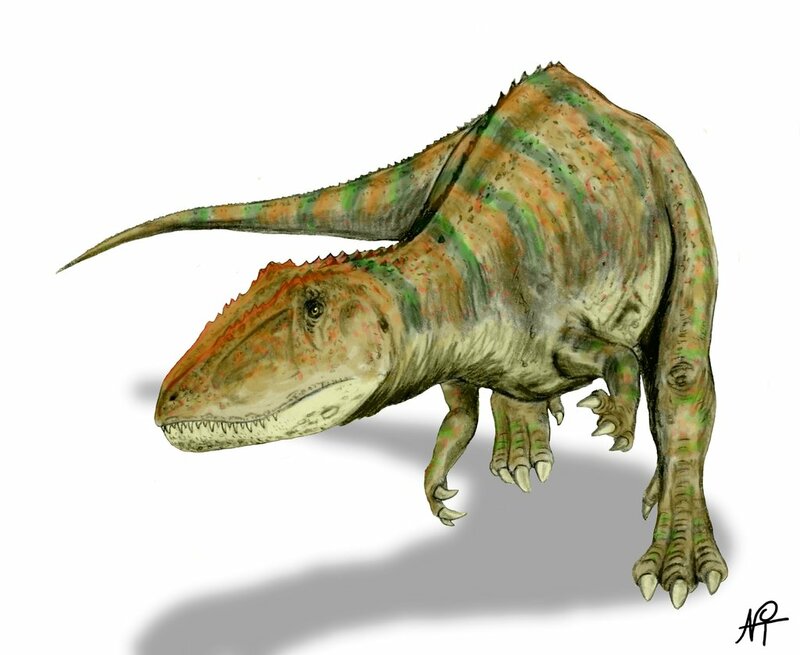 It was about 44 feet long, 13 feet high at the hips and could weigh as much as 7 ½ tons. 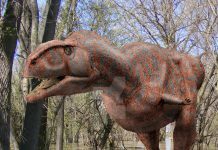 While its huge size gave it a predatory advantage, the really fearsome aspect of this dinosaur is its head. 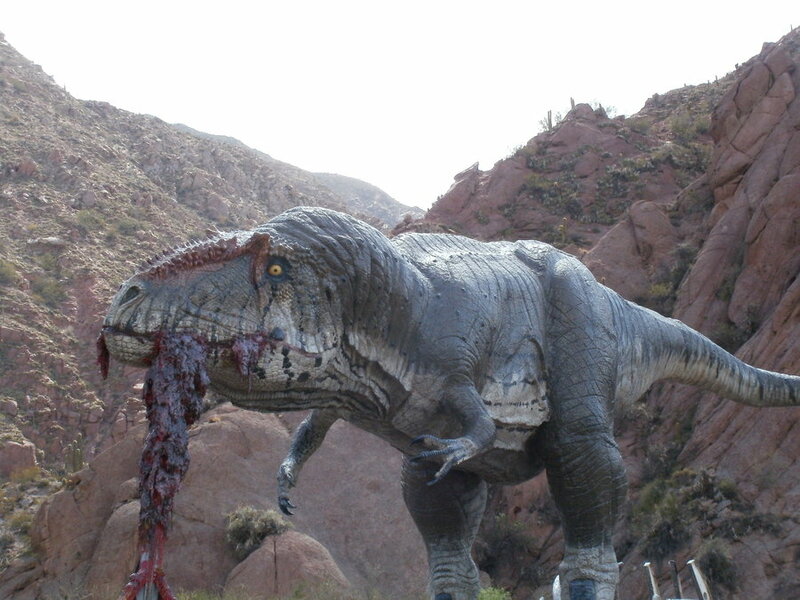 It had a head that was almost as long as the average human male was tall—about 5 feet long—and was filled with 8 inch razor sharp teeth. 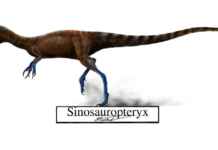 This allowed it to be the apex predator during its time, easily preying on herbivores such as the Ouranosaurus. 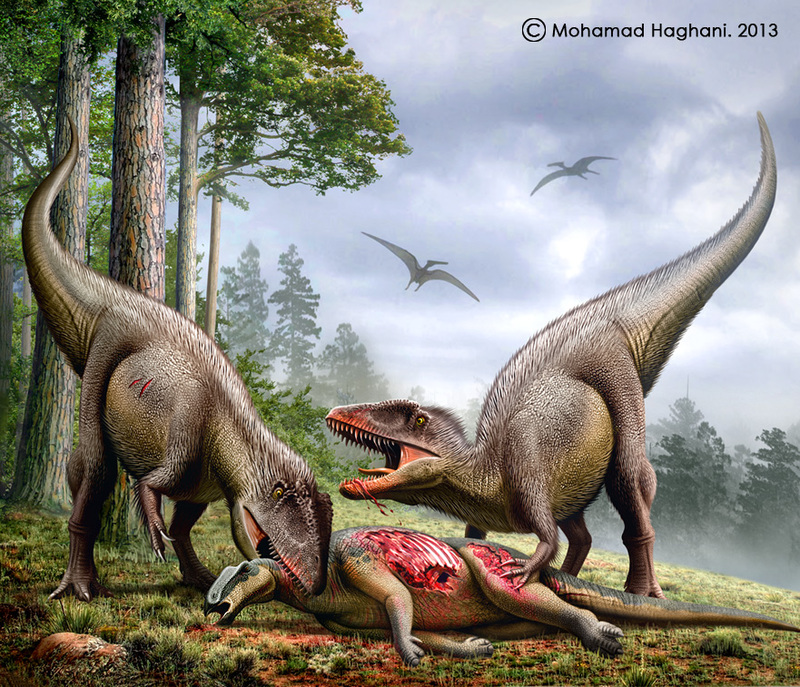 While this dinosaur was likely the top predator in its ecosystem, that doesn’t mean that it didn’t have to compete with other top carnivores. 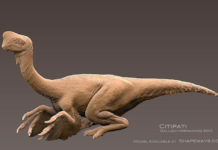 Fossils of this creature have been found in some of the same areas that Spinosaurs and Sarcosuchus dinosaurs were found. 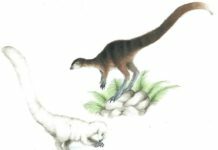 Most likely, these 3 carnivores were fierce competitors and had to battle each other for territory.